When the sun sets, our Merry Meet is just beginning! Join us after Grand Council for evening entertainment and rituals. All of these activities are included in your registration. Whether you are joining us for the day or the entire Grand Council weekend, register easily with PayPal using our registration link by clicking here. Mama Gina, along with her alter-ego Nine Toes the Bard, travels the country, strumming 12 string acoustic, tapping frame drum and djembe, singing truth with a side of blues, and sharing the mysteries that the Gods, Goddesses and other extraordinary souls whisper in her ear. Mama Gina will be sharing songs from her previous endeavors, as well as highlighting some new, zany songs from her upcoming “Nine Toes the Bard” CD – due out Spring 2017. Bring your friends and family! Bring your shakes, rattles and drums! Get ready to sing along! Come celebrate the Bard! for all National Covens and Solitary Members of CoG. attending Merry Meet at the Embassy Suites Hotel. Get more details at our Facebook event! 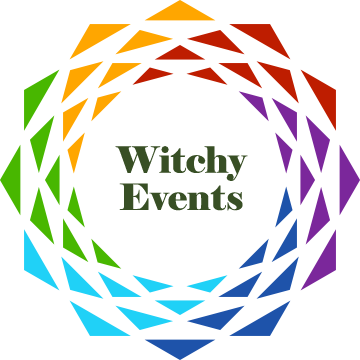 Main Ritual Join the Witches of EMLC as we call in the energies of the world’s waters. Bring your offerings of food to be blessed and donated to local charities. Beach Blanket Witches 9pm-11pm Get down and get groovy! Join us for our dance party at the beach. Wear your favorite beach attire and dance the night away with our fabulous DJ!